Desire for elegance, for a touch of originality as much during the day as in the evening, you just have to wear this light-up sequin bow tie in color silver to dazzle people who surround you. Completed so much for special occasions, such as gala evenings, shows, graduations or either simply to add a bright accessory to your Halloween costume or your disco party. 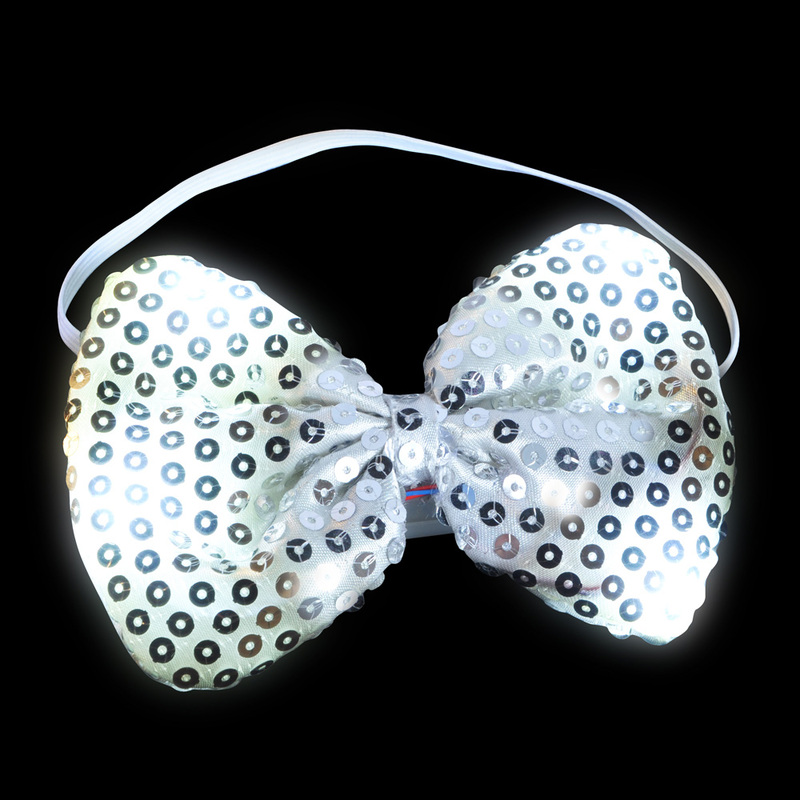 The bow tie is made of, tissue money, embroidered with making glitter so that it is also beautiful wearring it during the day as of evening. To activate, the light, and create an effect of surprise, in the evening, you have to simply press the small black switch, to the left and in the back of the bow tie. 3 options offer themselves to you. A blinking going of rapids to slower and slower. This bright product is sold individually and measures 4,5 inches of length. The bow tie is not recommended for children under the age of 5 years old.